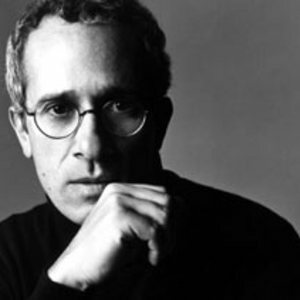 James Newton Howard (born June 9, 1951 in Los Angeles, California, United States) is an American film score composer. Throughout his prolific career, James Newton Howard has scored films of all scales and genres, earning multiple award nominations for his work. Howard began studying music as a small child and went on to attend the Music Academy of the West in Santa Barbara, California and then majored in piano performance at the University of Southern California. Throughout his prolific career, James Newton Howard has scored films of all scales and genres, earning multiple award nominations for his work. Howard began studying music as a small child and went on to attend the Music Academy of the West in Santa Barbara, California and then majored in piano performance at the University of Southern California. After Howard left college, he toured with Elton John and Toto as a keyboardist during the late 1970s and early 1980s before moving into film music in the mid-1980s. By the 1990s, Howard truly hit his career stride, scoring the surprise blockbuster romantic comedy Pretty Woman (1990) and receiving his first Academy Award nomination for his score for Barbra Streisand's drama The Prince of Tides (1991). Setting the musical mood for numerous films throughout the decade, Howard's skills encompassed a plethora of genres, including two more best original score Oscar nominations, the Harrison Ford actioner The Fugitive (1993) and the Julia Roberts romantic comedy My Best Friend's Wedding. In addition, Howard scored the Western epic Wyatt Earp (1994), the legal drama Primal Fear (1996), and the blockbuster M. Night Shyamalan suspense thrillers The Sixth Sense (1999), Unbreakable (2000), Signs (2002), and The Village (2004). His collaborations on tunes for One Fine Day (1996) and Junior (1994) garnered Best Song nods. Along with scoring such smaller, character-driven films as Five Corners (1988), Glengarry Glen Ross (1992), and American Heart (1993), Howard proved equally skilled at composing for big-budget Hollywood spectacles, including Space Jam (1996), Dante's Peak (1997) (theme only - score was composed by John Frizzell), Dinosaur (2000) ([really great], with additional material arranged by Lebo M) and Collateral (2004). Though he concentrated primarily on films, Howard has also contributed music for TV series, earning an Emmy nomination in 1995 for his theme to NBC's ratings smash ER. Howard is now one of the most recognized composers for film. His work in 2004 on The Village (with violin solos by Hilary Hahn) earned him his most recent Oscar nomination. Since, he has composed for several major motion pictures, notably the score for Batman Begins which he co-wrote with Hans Zimmer. On October 14, 2005, it was officially announced that Howard would replace Howard Shore as composer for King Kong, due to "differing creative aspirations for the score" between Shore and director Peter Jackson. The resultant score earned Howard his first Golden Globe nomination for Best Original Score. His most recent works are "Lady in the Water", his fifth film with M. Night Shyamalan, and Blood Diamond. Upcoming features include Michael Clayton, The Lookout, and The Dark Knight.